Karaoke system Machine for Pubs, Hotels and Business. 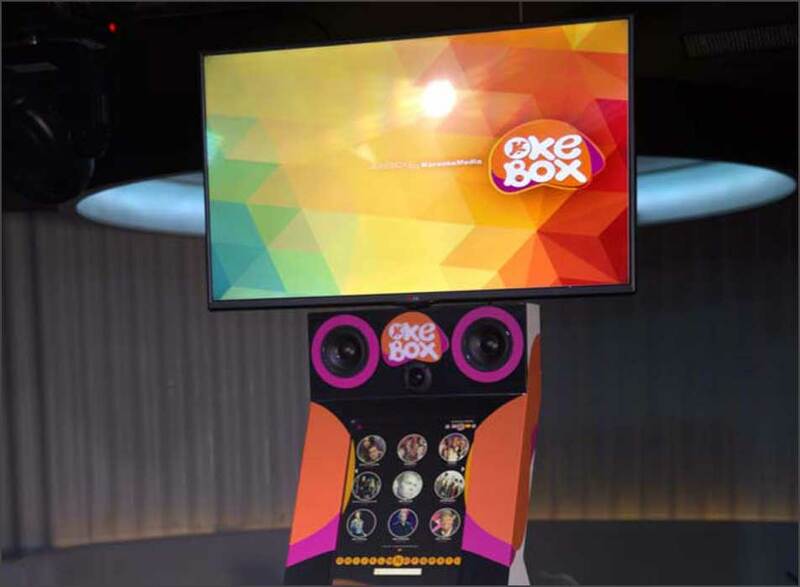 THE ULTIMATE KARAOKE MACHINE SYSTEM FOR PUBS, HOTELS AND BUSINESS. 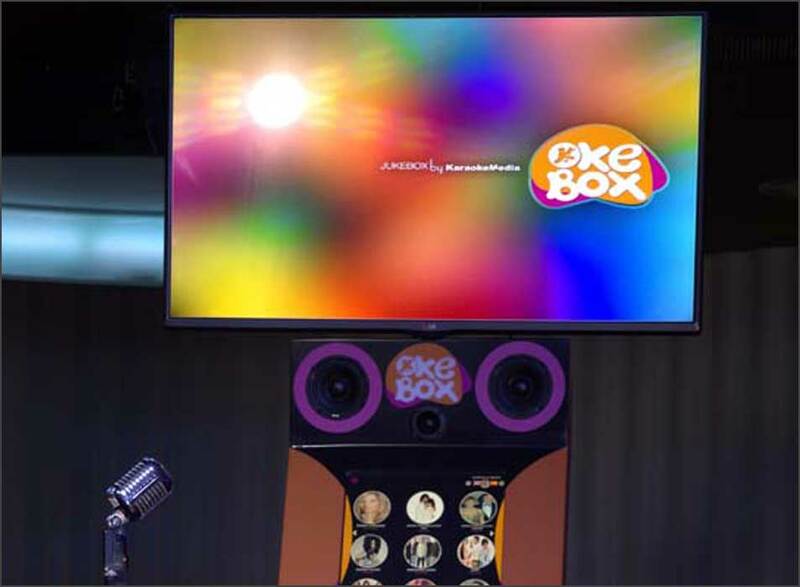 OkeBox has the honour to provide the world leader karaoke equipment in the musical market: Okebox, with more tan 30,000 karaoke songs. 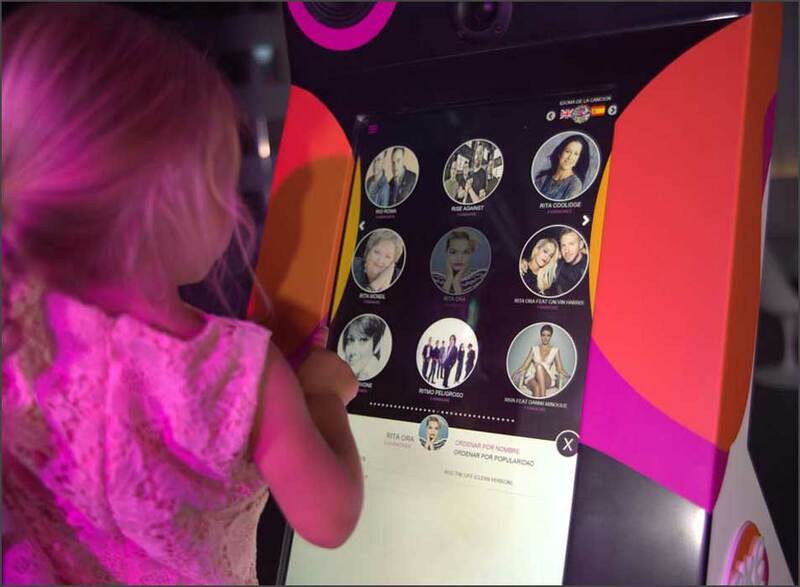 This musical entertainment system is designed to offer a totally autonomous musical entertainment service and you can use it for private parties as well as for leisure stablishments, playgrounds, pubs and clubs. 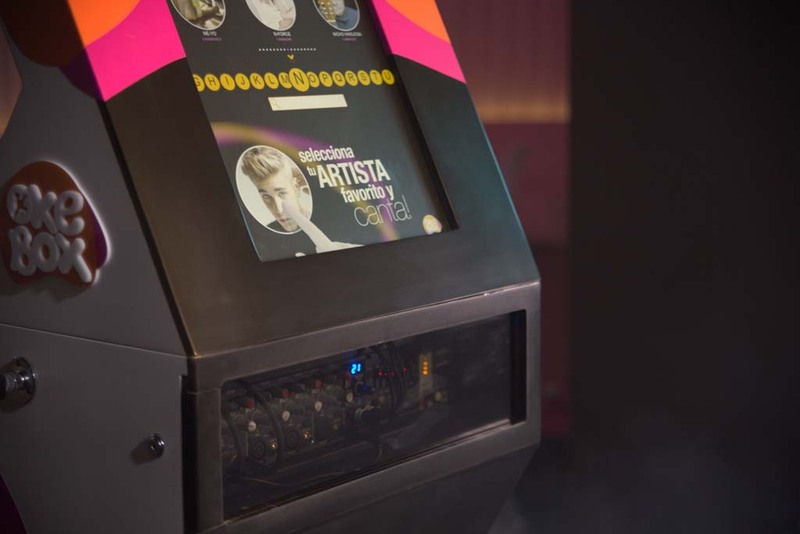 Don not hesitate if you want further information about this new Jukebox by KaraokeMedia. Get started making money with a karaoke show! 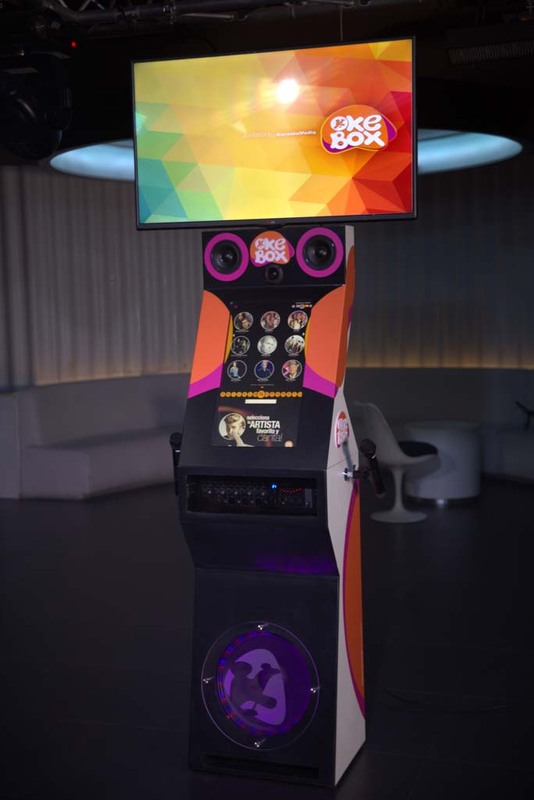 A BRAND NEW KARAOKE JUKEBOX READY TO SING! Sound 500w power LD System. 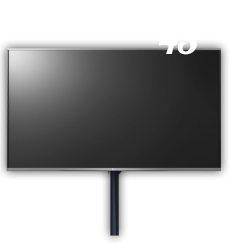 Screen 43 “superior Full HD. DE 43 screen “lower TouchScreen (touch ) . Digital karaoke mixer amplifier . Top speakers with 150W . rms . Subwoffer LD 500W . rms . 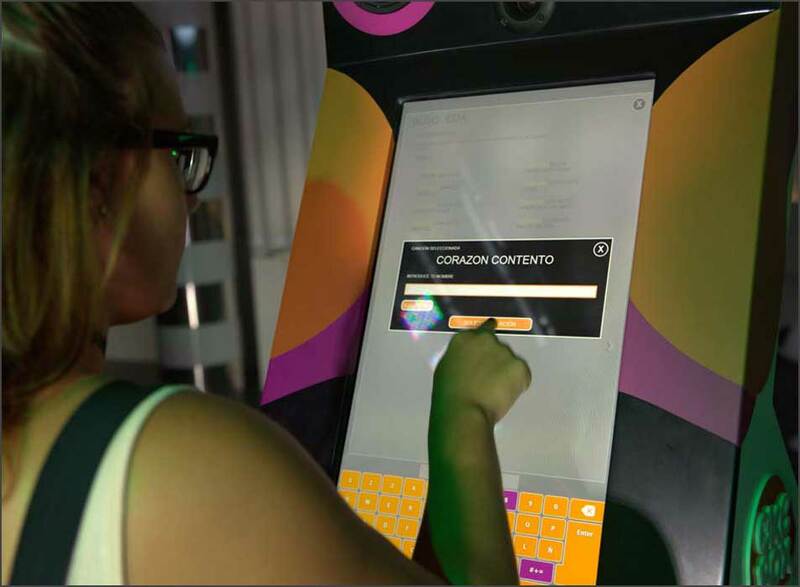 In this video you will get to know everything you need about this fantastic jukebox from its software functionality to its transportation system divided into 3 fully moving parts. WHAT CAN YOU DO WITH OKEBOX? 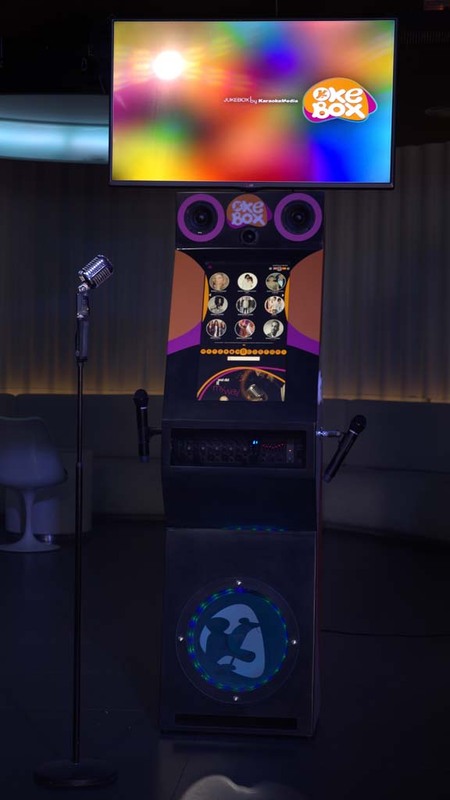 This complete karaoke system allows its use in different ways depending on the needs of your business: you can use it to make money, or simply as an added value which customers would appreciate. Do you have a business such as a restaurant , nightclub , bar or playground? If you have the possibility to install an OkeBox in your business, you are a lucky owner , because thanks to its different ways of revenue you will be able to earn money in a passive way without worrying about anything , either through its electronic purse or through drinking tickets. 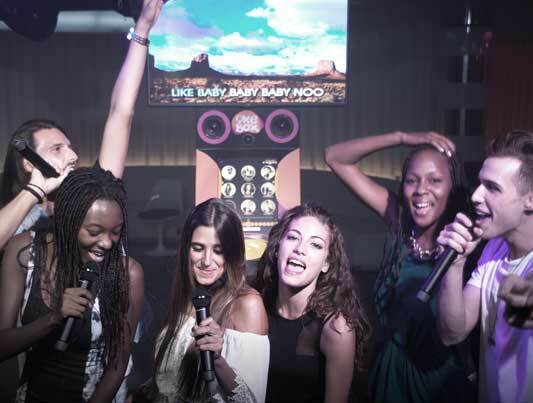 The main advantage of this full karaoke equipment is that your clients will stay more time in your local and they will consume more. If you professionally work in a show business, you know how important it is to have a good variety of options for shows. Since all of them should have professional sound, all money is little in order to offer a good performance to your audience. 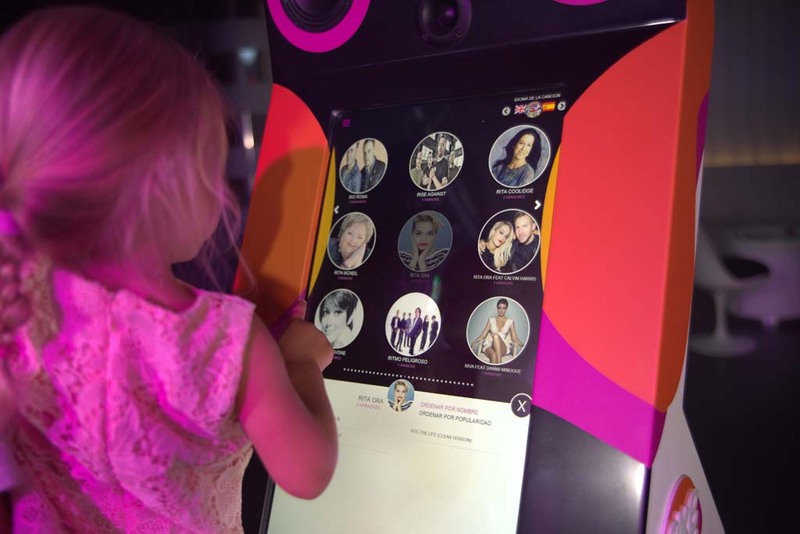 With OkeBox you will have all the musical power at a very affordable price, while your customers are the ones who are participating in the event. We know how important shipment is for you, so our karaoke team comes perfectly packaged in a two-pieced rack wood system, which is ultra resistant to all kinds of drops and impacts , drawers with wheels and grip handles for an increased mobile convenience. 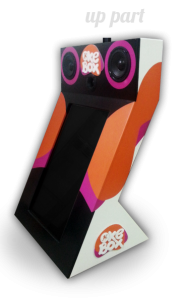 In short, OkeBox is an excellent portable solution to use at any party or organised event. 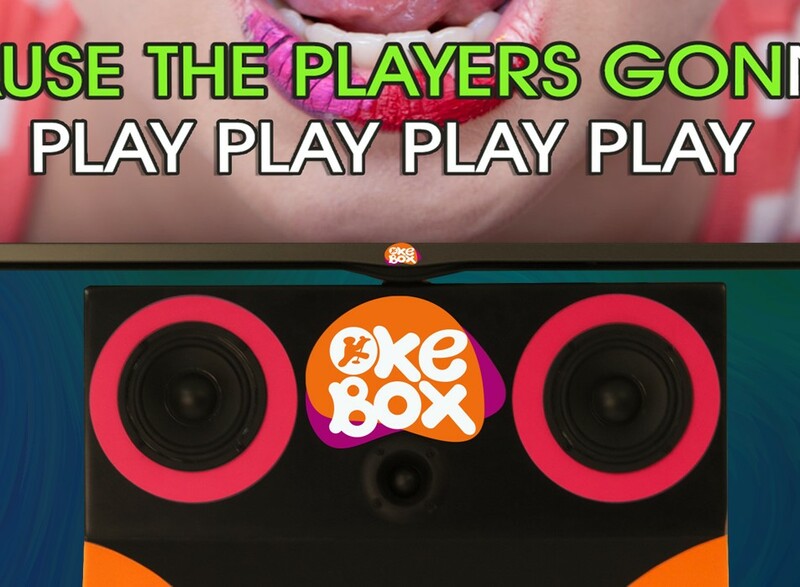 OkeBox initially comes with 1,000 karaoke songs including a number of tracks to offer a good variety of songs. 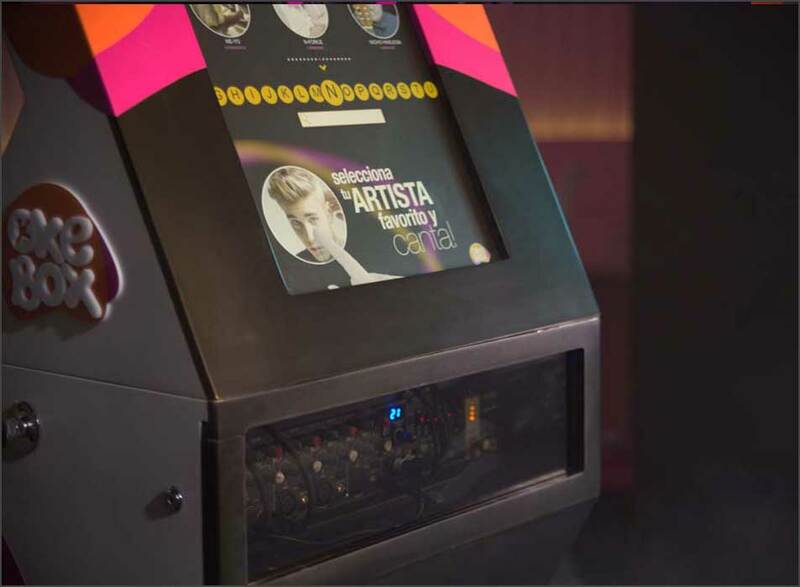 However , the system offers the possibility of renting their entire catalogue of songs ( over 29,000 nowadays , year 2016 ) so that in this way we will not worry about if we have a specific song or not, and if they want, your customers can be the ones who individually buy the song, with each one purchased on your machine and it will be forever in your property. 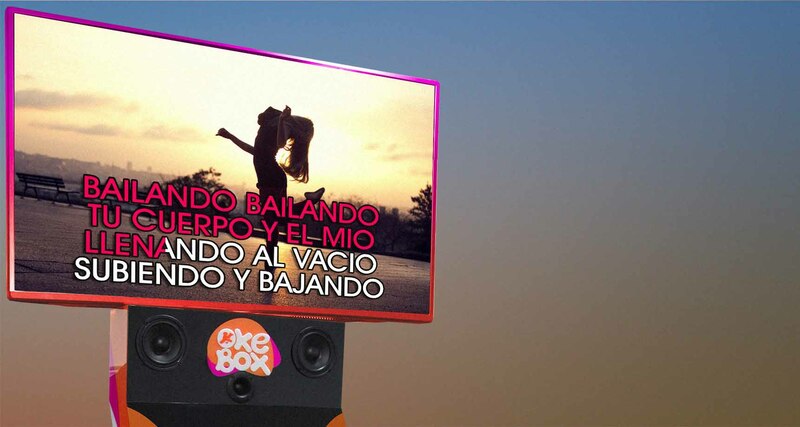 YOU´RE GOING TO WATCH OUR VIDEO KARAOKE SONGS THIS WAY! 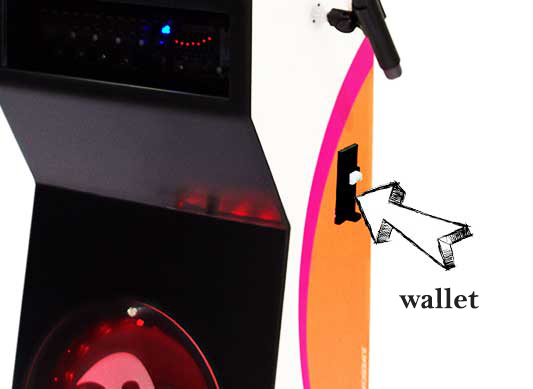 Here you can see the different parts which make the karaoke equipment up. 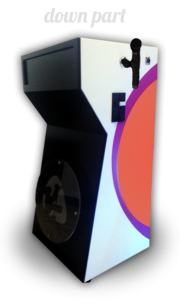 The machine delivery is shipped in 3 parts: television , top touchscreen, main furniture where the mixer is housed with all volume regulators, connections to microphones, gain controls and controllers for the sound effects. 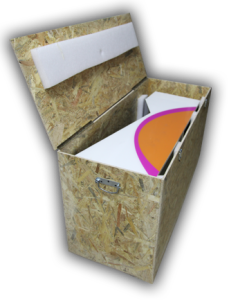 ¿How would you use OkeBox? ¿Do you wish comment something else?